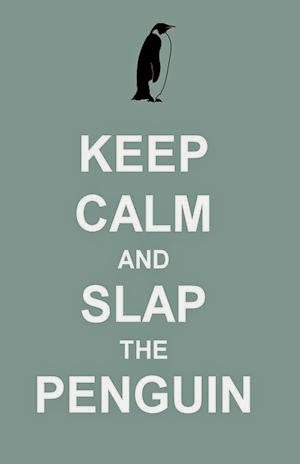 Happy April, Penguin Slappers. Do you ever lay awake at night wondering what we were doing 12 months ago? I don't blame you, there are much more important things to lie awake at night for. However, I suspect there may be an inkling of curiosity going on in your tiny little minds, which is one of the reasons that I write these reslap posts. The other reasons include contractual obligation and good SEO (search engine optimization) practices, and of course I Love My Job. Taking old friends on a trip down memory lane and showing new friends how funny we used to be. Every year on April 25th people (some people) celebrate World Penguin Day by doing penguin related things. We choose to do penguin related things every day, not just once a year. 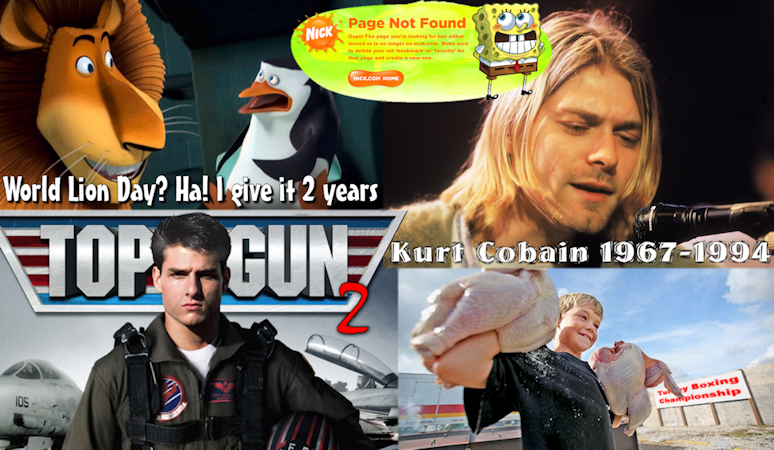 The 21st anniversary of Cobain's death came and went fairly quietly in the mass media, not like last year's big 2-0. Follow the link to see our celebration of Kurt's life. We were getting all excited for the return of Pete 'Maverick' Mitchell and his 'dangerous' flying. The movie could be back on hold again, and it might not make it out in time for the 30th anniversary of the original. This story was a surprise hit for us as we told the tale of 9 year old Jack Johnson who became the newest World Champion Turkey Boxer back in April 2014. Follow the link to find out more. That's what we were doing 12 months ago, what were you doing? Tell us your yesteryear tales in the comments section below. Do vampires really sparkle in sunlight?